Execute_Query command is used to fetch all the records for current database data block in Oracle Forms, actually its executes query in current data block. Clears the current block, opens a query, and fetches a number of selected records. 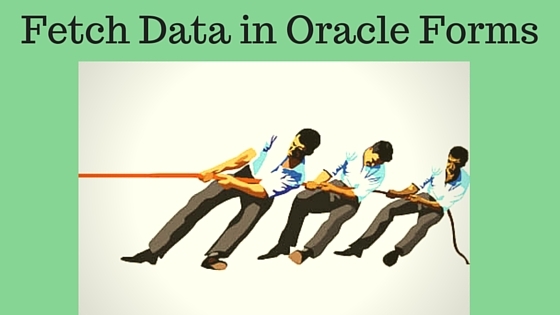 EXECUTE_QUERY(ALL_RECORDS) performs the same actions as EXECUTE_QUERY but Oracle Forms fetches all of the selected records. EXECUTE_QUERY(ALL_RECORDS, FOR_UPDATE) performs the same actions as EXECUTE_QUERY but it lock all of the selected records immediately and fetches all of the selected records. Can be set to NO_WAIT anytime that you use the FOR_UPDATE parameter. When you use NO_WAIT, Oracle Forms displays a dialog to notify the operator if a record cannot be reserved for update immediately. Without the NO_WAIT parameter, Oracle Forms keeps trying to obtain a lock without letting the operator cancel the process. Earlier I have given many example to perform query in Oracle Forms and below are the links that you can check for more details.